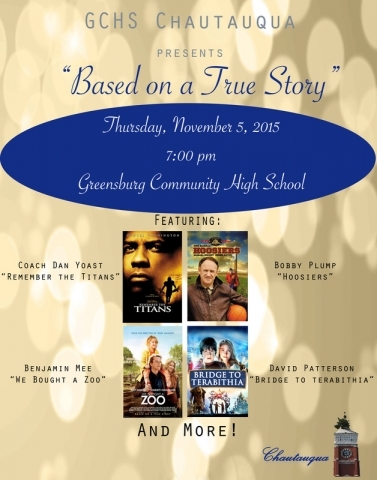 Benjamin was honoured to have been asked to talk at the 'Based on a True Story' Chautauqua event being held at Greensburg High, Indinana on 5th November. The event is a semi-annual one which has the aim to help students and community members to celebrate the diversity around the world and realize the greatness that is within all of us. -John McLoughlin - "World Trade Center"
-Sister Helen Prejean - "Dead Man Walking"
-Benjamin Mee - "We Bought a Zoo"
-Bruce Haigh - "Cry Freedom"
-Dr. Jeffrey Wigand - "The Insider"
-David Paterson - "Bridge to Terabithia"
Benjamin had a wonderful time speaking at the event, and was thrilled to be able to visit Cincinnati Zoo whilst there where he met a giraffe who has a thing about biscuits! "Dear Benjamin, On behalf of the students and staff of Greensburg Community High School, I wanted to say thank you for speaking at our semi-annual Chautauqua event. Truthfully, merely to say thank you does not do it justice. You put aside your job and family, traveled half way across the world, just to inspire a group of 700 high school students from a small town in the middle of the cornfields of the USA-Benjamin, mission accomplished. The feedback that I have received from the students as well as the community has been unbelievable. Your message was filled with hope, knowledge, and the inspiration to help drive my students to the greatness that exists within each one of them. I think it speaks volumes that you would do this out of the kindness of your heart and to paid solely in gratitude, not in currency. 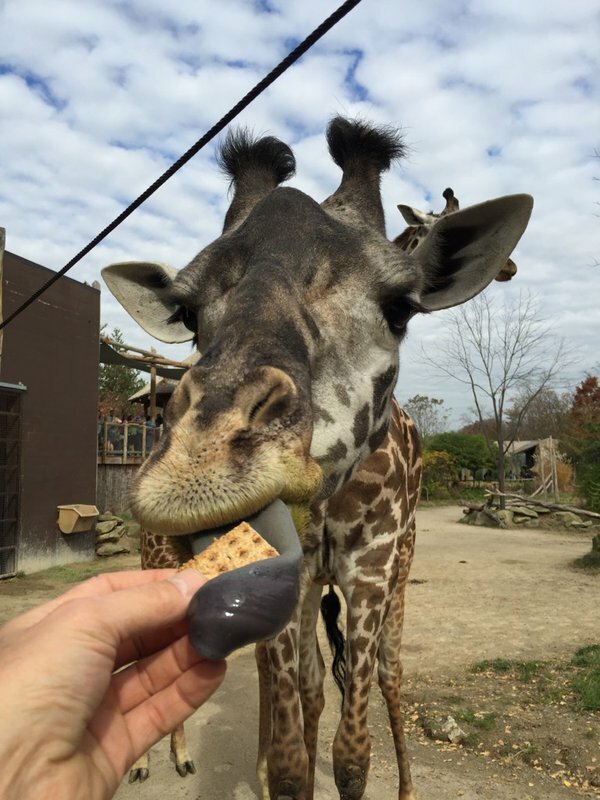 Please know you will always be a part of Greensburg High School and if you ever desire to build a new zoo, you will be embraced in Greensburg, Indiana." 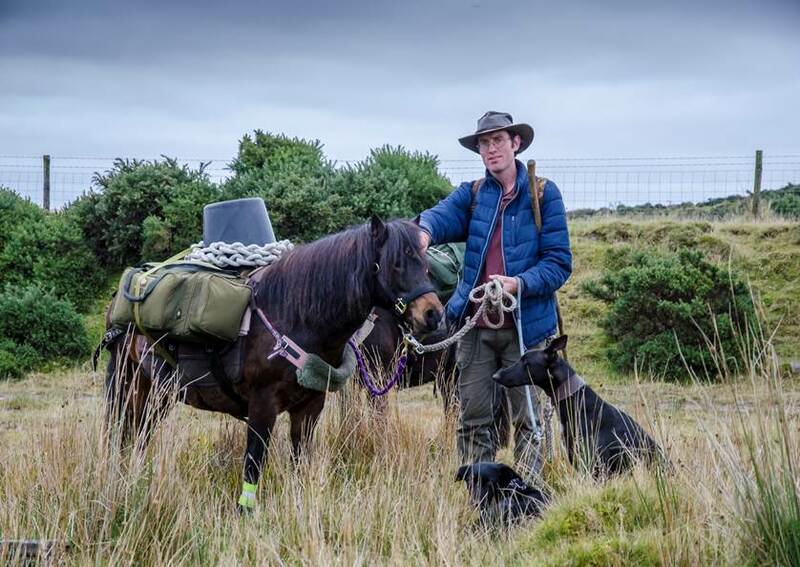 On 16th October, Dru Butterfield from the Dartmoor Pony Heritage Trust, began a 100 mile walk across the Moors with Sam Goodwin of Dartmoor Pony and Pack and his ponies Billy and Jasmine. "Taking a route between the four Stannary towns, where tin mined on Dartmoor was gathered, weighed and sold, the Walk retraced the steps of the ponies' past as pack animals critical to the livelihood - and ultimately the survival - of those who lived and worked on Dartmoor in centuries gone by. There are two main purposes of the 100-mile Challenge. The first is to raise awareness of the heritage, temperament and capability of the Dartmoor pony and its historical role as a vital partner to people on Dartmoor. 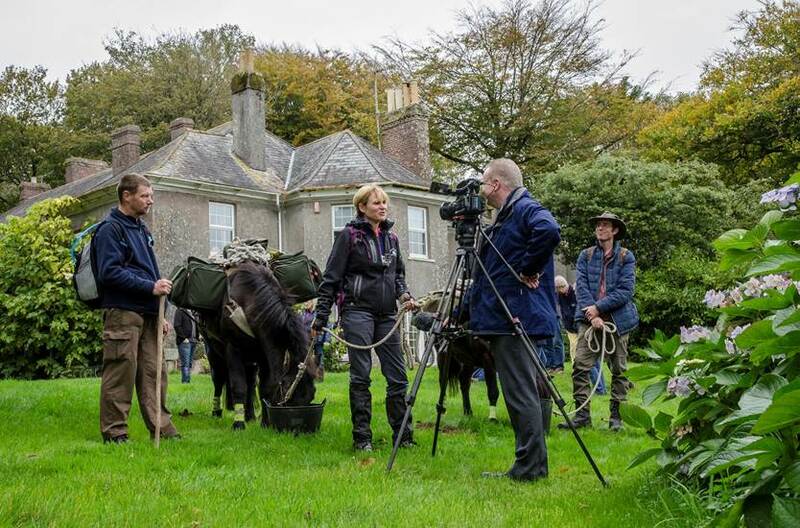 The second is to raise a target of £5000 in aid of the DPHT's recently announced Dartmoor Pony Conservation Grazing Research project, with Plymouth University and Dartmoor Zoo. This will aim to ensure recognition of the ponies' benefit to biodiversity, ultimately helping to secure their future on Dartmoor and across the UK. Joining Dru and Sam for the entire walk as lead navigator, safety specialist and history adviser, as well as moral support and chief motivator, was Paul Rendell, Dartmoor guide and DPHT conservation officer. Says Dru: "The work of the Dartmoor Pony Heritage Trust is very dear to my heart. To celebrate its 10th Anniversary I wanted to find a challenge that would highlight all the good things about the ponies' courage, bravery and resilience. I never knew a pony could actually look after you, I thought it would be the other way around! But our first training walk proved that we will rely heavily on the ponies. This Challenge will test whether us humans can show similar attributes, 'dig deep' and achieve something that we will remember for ever." 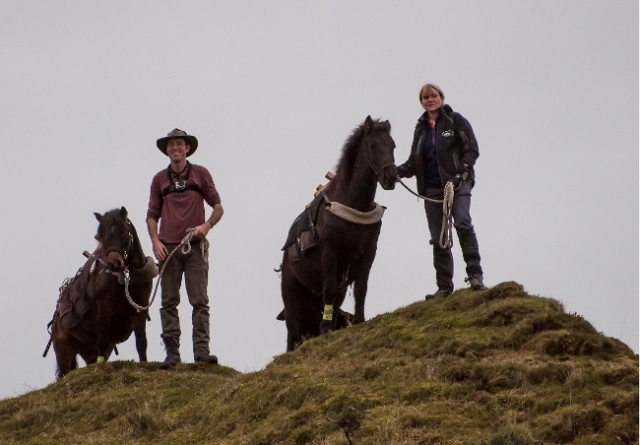 For Sam it is all about doing something that should engage everyone: "When I learned that the ponies on Dartmoor have an uncertain future, I was determined to do something to help. So I decided to train some as pack ponies, to set up a business leading people across the Moor, with the ponies carrying their rucksacks or picnics. 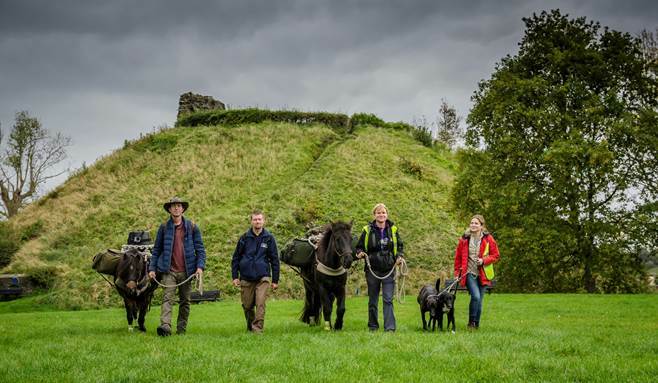 This 100 Mile Challenge is a great celebration of the ponies and the fantastic landscape they inhabit. I can't wait to get going!" Paul Rendell knows more about Dartmoor than most - both about its history and how to walk across it safely, or cope with any dangers that the Moor can often present. Says Paul:" Dartmoor can be a challenging place for human and beast; they will have to work together to complete this challenging trek. I am really looking forward to creating partnerships in the way that people did years ago. It will be good to walk some of the ancient routes like the Tavistock to Ashburton Packhorse trail." The Sponsored 100-mile Challenge is part of the DPHT's celebrations of its 10th Anniversary in 2015. Says Dru: "The Walk is intended to celebrate the role of the Dartmoor pony in our local history, to show many more people just what these tough, capable but gentle little ponies have achieved in the past, what their roles is on the Moor now, and how vital it is to keep them there for the future. We need to help more people to understand the challenges facing the Dartmoor pony living on Dartmoor and then to become aware of the variety of work going on that will make a difference to their survival"." The walk ended at Dartmoor Zoo on 23rd October. Congratulations to all involved! Find out more or donate by visiting the website. - Outrageous Ambition based in Lancaster working to improve the lives and employment opportunities of disabled people. 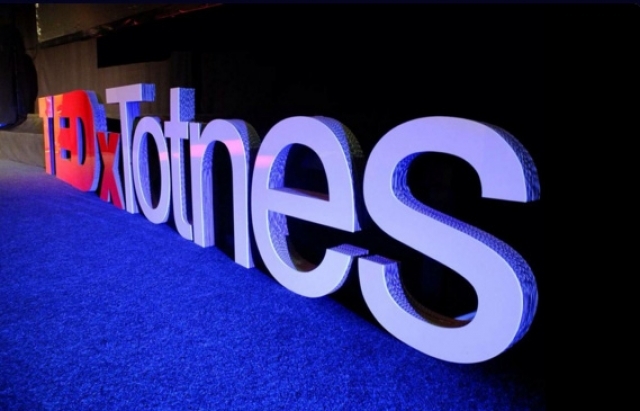 TEDx Totnes took place on 9th October at The Barn in Dartington and was by all accounts a huge success. The event was watched on the live stream from 23 countries! Benjamin's talk was entitled 'When Dolphins Laugh' and will be soon able to view when it goes live on the TEDx Totnes site. Keep an eye out here for more news! 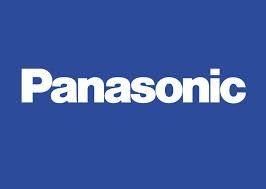 On 28th September Benjamin conducted his second motivational talk for Panasonic delegates on the first ever Panasonic Global Leadership Programme. After the talk Benjamin flew to Holland with equipment donated by Panasonic to give to AAP in Holland. "AAP is a European sanctuary that provides professional care, rehabilitation, and housing for exotic animals. For over thirty years, this not-for-profit organization has served as a safe haven for animals who came from illegal trade, research laboratories, circuses, illegal zoos, or from private people as exotic pets." They rescue, rehabilitate and try to find permanent homes for the animals they rescue. On top of this they work to make the case for better animal legislation in Europe. Benjamin hopes to work with AAP as part of his research into Animal Intelligence, and a group of macaques may soon be on their way to DZP as part of this project. He also hopes that technology can enrich the lives of the animals who live at AAP, in particular some chimpanzees who have been rescued from laboratories. Many of them have been infected with horrible incurable infectious diseases and so will never be able to leave AAP. 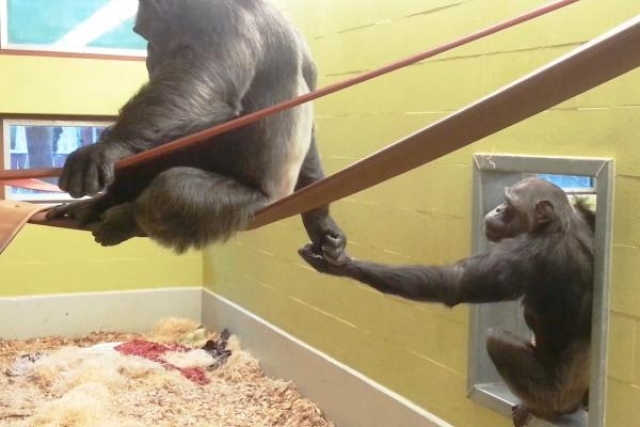 The Toughpad, one of the items donated by Panasonic, will be used as part of the enrichment there for the chimpanzees, and AAP, and the chimpanzees, were delighted with it. It will also be used in conjunction with research which is going on in partnership with numerous universities. 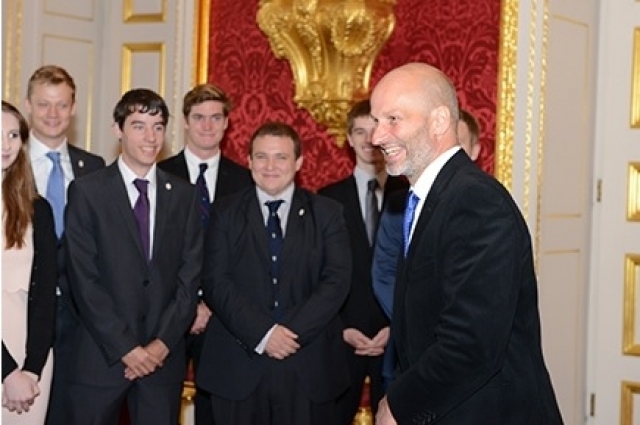 Benjamin headed to St James Palace to present the Duke of Edinburgh Awards for the third year running. On 9th September Dartmoor Zoo hosted a unique business breakfast networking experience. Speakers were Benjamin Mee, Carl Heslop from Obedair and Shelly Monk from Surplus Rescue. Approx. 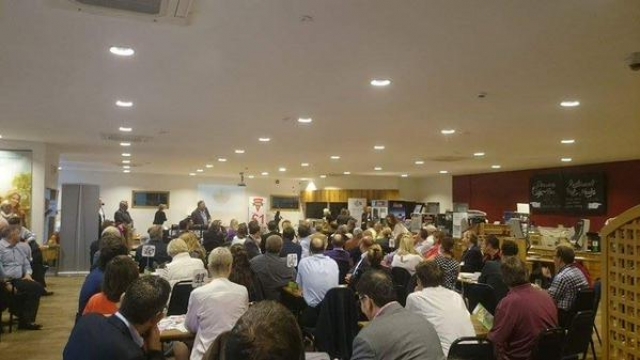 150 people attended for the opportunity to meet and mix with some of Devon and Cornwall's finest business owners and professionals. Sponsored by Dartmoor Zoo and Slice A Pizza and organised by Mike Turner from Tin Digital and Steve Whiteway from Devon Contract Waste. 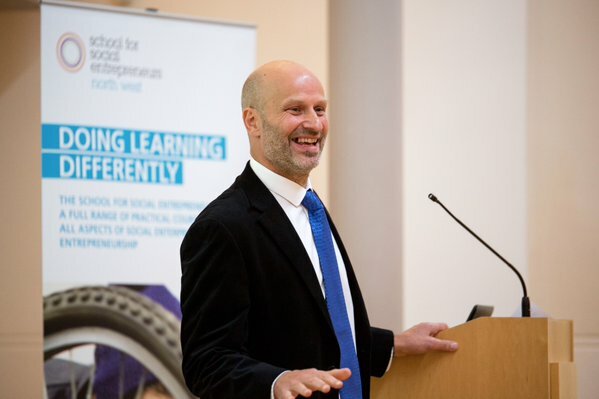 Benjamin conducted a talk on the positive impacts of businesses and how the success of one has a ripple effect on other businesses in the area.